After a period of urban population growth, suburban areas are competing with their larger neighbors to attract young professionals and businesses alike. Years ago, when we lived in Plano, Texas, a wheel broke on the garbage can in the alley behind our house. I phoned City Hall, and the next day, the hobbled trash container was replaced with a new one. And the city worker who delivered it took the time to transfer my garbage over from the old, broken receptacle. When I told this story to Plano Mayor Harry LaRosiliere during a recent interview, he was pleased, but not surprised. A hallmark of Plano’s growth and popularity over the past 20 years or so has been its exceptional delivery of city services, financed by teeming revenues from a swelling property tax base. In a 2017 ETC Institute survey, 91 percent of Plano residents said they were satisfied or very satisfied with the quality of city services – a rating that’s among the best in the country. These days, LaRosiliere has a lot to smile about. 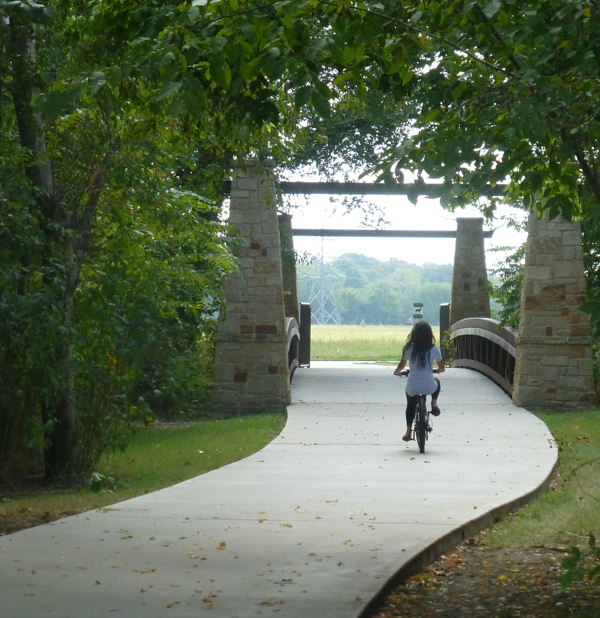 Plano, a city of 260,000 just north of Dallas, is among a new breed of flourishing suburbs that promise, as suburbs have since the end of World War II, to reshape America’s cultural, demographic, and economic landscape. This time, they are doing so by becoming powerful magnets for businesses that attract high-wage jobs, a vibrant workforce, and billions in investment dollars. Plano, a city of 260,000 just north of Dallas, is among a new breed of flourishing suburbs that promise, as suburbs have since the end of World War II, to reshape America’s cultural, demographic, and economic landscape. “We’re pro-business” is hardly a mantra original to Plano. In Silicon Valley, suburban communities discovered long ago the economic advantages of accommodating tech companies, from startups to behemoths. Apple is based in Cupertino, Calif., 43 miles outside San Francisco. Google makes its home in nearby Mountain View, Facebook in Menlo Park. Up the coast, in Washington State, Microsoft transformed the Seattle suburb of Redmond into a high-tech Eldorado. 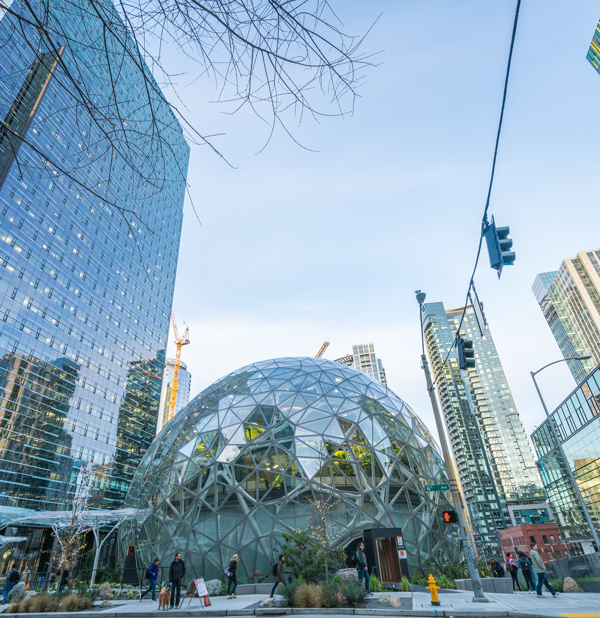 But now the trend is intensifying, economists and urban planners say, as evidenced by the continental tug-of-war over Amazon’s second world headquarters. It’s a trend, they say, that could change forever not only life in the ’burbs – who settles there and why – but also their relationship to the major cities that gave them birth. The Great Recession of 2007-2009 exposed the seductress to an unkindly harsh light. The collapse of the residential mortgage market, stagnating home values, a numbing architectural and cultural blandness, and ever more dreary commutes along ever more congested highways suddenly made many suburbs seem less enticing. Millennials, meanwhile, embraced a resurgence in urban living, flocking to apartments within walking distance of their workplaces, friends, and craft cocktail bars. In just the past few years, however, the suburbs, newly energized, have roared back. The Economist reported in April that the "back-to-the-city" movement hit its zenith in 2012. Since then, according to new demographic analyses, growth rates have quadrupled in the exurbs, those suburbs on the outer fringes of metropolitan areas. At the same time, urban growth slowed by half. In just the past few years, however, the suburbs, newly energized, have roared back...according to new demographic analyses, growth rates have quadrupled in the exurbs, those suburbs on the outer fringes of metropolitan areas. At the same time, urban growth slowed by half. Not long ago, Plano was the stereotypical affluent suburb, generally regarded as a pleasant, if un-intriguing, bedroom community. Its spacious homes and airy malls, sprawling soccer parks, and exceptional public schools made it a comfortable place to raise a family – even if living there meant Mom or Dad or both faced long, tiresome commutes to their jobs in Dallas. That archetype is changing – in North Texas and across the country. It’s hard to argue that he’s wrong. Plano has for years been home to three Fortune 500 companies: J.C. Penney, Alliance Data, and Dr Pepper Snapple Group. But lately, the growth in business development has been nothing short of explosive. “We’re an economic center. People come here to work,” said Rick Grady, a retired financial sector executive who serves as Plano’s mayor pro tem. 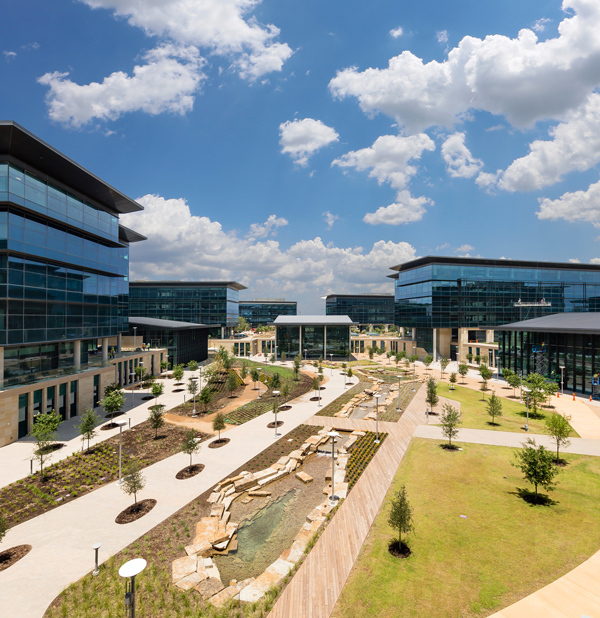 Last year alone, Toyota opened its North American headquarters on a 100-acre, $1 billion campus on Plano’s west side. Barely a mile away, Liberty Mutual Group, the insurance giant, opened a 19-story regional headquarters, and JP Morgan Chase & Co. completed a $300 million regional hub. 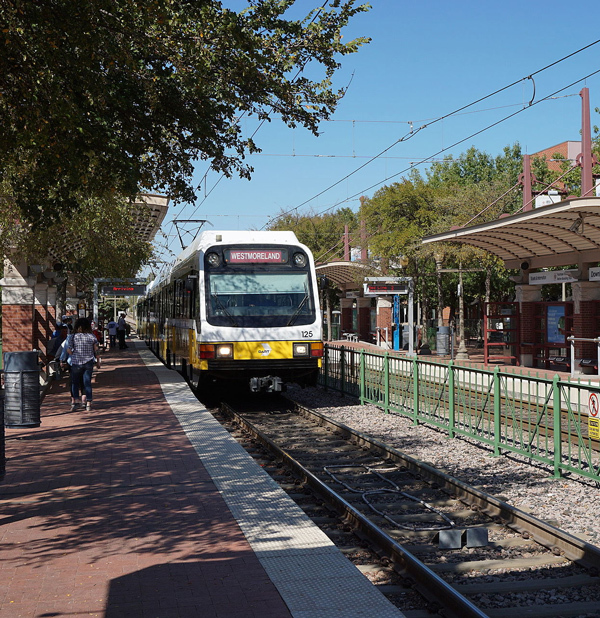 Several miles to the east, Plano’s historic downtown is undergoing a renaissance, thanks in part to Dallas Area Rapid Transit’s nearby commuter rail line, which runs to downtown Dallas and beyond. A new line, scheduled to open in 2022, will extend from downtown Plano to Dallas/Fort Worth International Airport. “To be able to get from downtown Plano to D/FW without getting in your car – that would have been unimaginable to most people 20 years ago,” the mayor said. “Intentional” is one of Mayor LaRosiliere’s favorite words in describing his city’s growth, and its planned growth. Gone are the days when Plano can rely, as it did for years, on a tide of property-tax revenues washing in, as high-end subdivisions went up one after another on what had been vacant fields. All but about 2,000 acres of Plano are built out, according to City Manager Bruce Glasscock. There’s little room left for the rising tide to rise. By bringing in businesses, the mayor said, “we diversify our tax base, and this allows us to deliver quality services to residents at a low tax rate.” Today, he said, more than half the city’s property taxes are collected on commercial properties. That’s enabled the City Council to cut the property tax rate paid by homeowners in two consecutive years, for the first time in city history. A corporate workforce inevitably means a young workforce. The Toyotas and Liberty Mutuals of the world arrive with an army of young professionals and support staff in tow. As a result, 42 percent of the onetime bedroom community’s adult population is under 34, the mayor said. He doesn’t want them going anywhere. “We have to provide opportunities for lifestyles that young people find appealing,” he said. “That means having great housing options. It means having amenities like great restaurants and entertainment venues, and attractive, walkable neighborhoods close to work. It’s a lesson being embraced from Bethesda, Md. to Tigard, Ore., Decatur, Ga. to Edina, Minn. Suburban planners and developers speak of walkability, livability, and sustainability as a French saucier might of mirepoix: As the basis for everything else. Build apartments, lofts, and townhomes to pedestrian scale, and join them to offices, parks and greenbelts, restaurants and retail hubs through a well-planned, attractive network of sidewalks, bike paths, hiking and exercise trails, and even the most inveterate motorists can be drawn out of their cars. If there’s a subway or light-rail station nearby, so much the better. Suburban planners and developers speak of walkability, livability, and sustainability as a French saucier might of mirepoix: As the basis for everything else. There’s one stereotype of suburbia that grates at the mayor, even as it amuses him: That thriving suburbs like his are lily-white enclaves. LaRosiliere, who is black, was born in Haiti. His family moved to New York City when he was 3, and he grew up in Harlem. Indeed, the city is 43 percent non-Caucasian. Its public-school enrollment is almost 60 percent non-Caucasian, with roughly 80 native languages spoken by the students in those schools. In 2015, according the U.S. Census Bureau, Plano’s Asian population was 19.1 percent, up from 16.2 percent five years earlier. Such demographic shifts are happening across the country. In 1970, blacks, Latinos and Asian-Americans comprised less than 10 percent of the U.S. suburban population. By 2010, that number was 28 percent. By 2013, the suburbs (not all of them affluent suburbs, to be sure) housed half of all foreign-born U.S. residents. In the scramble to attract business, nowhere is the dynamic pitting suburb against core city more evident than in the Amazon HQ2 sweepstakes. Twenty finalists, whittled from 238 applicants, are hoping to grab the golden ring that Amazon’s dangling: $5 billion in investment, 50,000 jobs paying an average of $100,000 a year, and Lord knows how much in secondary rewards from the smaller companies that would glide in on Amazon’s jet stream. In the scramble to attract business, nowhere is the dynamic pitting suburb against core city more evident than in the Amazon HQ2 sweepstakes. Many of the finalists, Dallas among them, have wrapped their pitches in the fuzzy blanket of regional cooperation. “If Amazon lands anywhere in the Dallas/Fort Worth area, every one of us benefits from that relocation,” said Glasscock, the Plano city manager. Chicago’s Amazon bid mentions two possible suburban sites. Denver and Atlanta both talk about the possibility of housing Amazon outside the central city, and the bid from Raleigh, N.C. is actually from the Research Triangle, which encompasses Raleigh, Durham, Chapel Hill, and their suburbs. But elsewhere – notably in the Washington, D.C., area – suburb and city have dropped the gloves. Still, whenever Amazon announces its decision, there will be one winner, and 19 losers. Among big-city mayors, there are few more devoted apostles of regionalism than Mike Rawlings of Dallas. 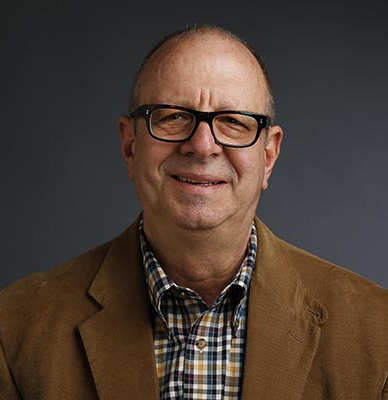 The mayor, a former advertising and restaurant-chain executive, has worked closely with neighboring cities on a variety of projects. “Our first order of business,” he said, “is to compete as a region against other metro regions. Dallas’s competition for jobs and economic development isn’t against Plano or Irving or Fort Worth. It’s against greater Houston, greater Los Angeles, greater Chicago. Maybe. Probably. But when I spoke with Mayor LaRosiliere – who calls Mayor Rawlings a close and trusted friend – he didn’t sound entirely convinced. “Plano no longer wants to be the best Triple-A team in baseball,” he said, a reference to a high-ranking, but minor league, organization.